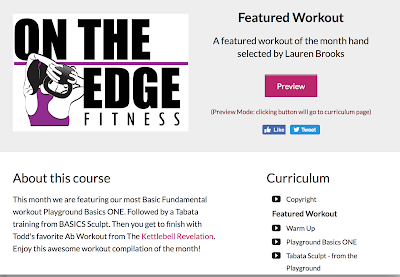 Sign up for my newsletter and instantly receive a FREE link to our FEATURED WORKOUT . Just confirm the newsletter in your inbox and you will receive a separate email with the access link that will allow you to register for FREE. It's $19.99 in our store but we will gift it to you for free once you sign up and join thousands of our loyal subscribers. You will receive free workout tips, inspirational articles, recipes and some raves and rants from me. From time to time you will get a special code to receive discounts on some of our featured products. I promise not to inundate you with many emails. I only send out an email when I feel it's necessary or have something valuable to share. Sometimes it's once or twice a week. Other times it's once a month. To never miss a thing make sure you like my Facebook page, follow me on twitter and instagram. I look forward to getting to know you and helping you reach your goals.